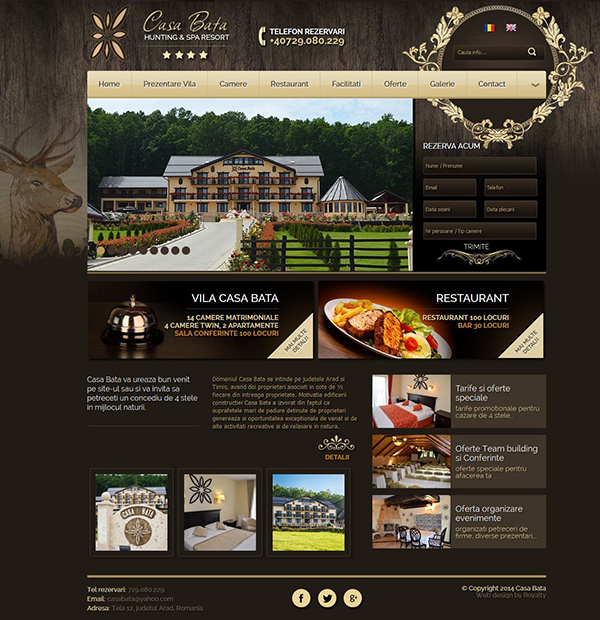 Bata Villa is a luxury guesthouse dedicated especially for hunting activity. Situated in the heart of nature, the villa offers 5-star accommodation for European personalities passionate about hunting. Villa is dedicated to international tourism.